Pool and spa heaters provide year-round comfort for your pool or spa and are unmatched in features and benefits. 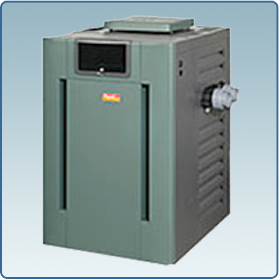 Heats up fast so no long waits before enjoying your pool or spa while achieving best-in-class efficiency. 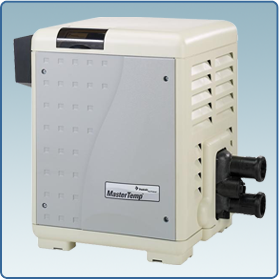 Eco-friendly MasterTemp® is certified for low NOx emission and outperforms industry standards. Rotating digital display allows for easy viewing. Tough, rust proof exterior handles the heat and weathers the elements. LCD digital display accurate temperature. Monitors operational status as well as service diagnostics. Variable speed capability, digital controls, and proprietary software that allow custom programming of optimum pump speeds for specific tasks-filtering, heating, cleaning, spa jets, waterfalls, etc. 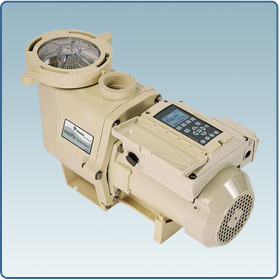 The IntelliFlo Variable Speed features 8 speeds with a programmable time clock for each speed and an LCD screen that displays actual wattage consumption and speed settings. It is the perfect solution for customers who want the savings and performance provided by dependable IntelliFlo technology with integrated time clock settings for code compliancy or installations without automation systems. 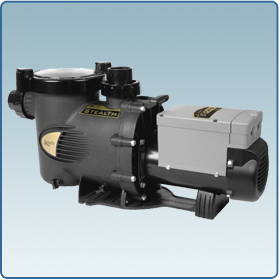 This new IntelliFlo offers the same reliable performance and energy-savings that has made the IntelliFlo the best selling variable speed pump on the planet. Fully compatible with IntelliTouch®, EasyTouch®, SunTouch® and other brands of digital pool/spa controls for managing pump, heating, lighting, spa jets and water features. 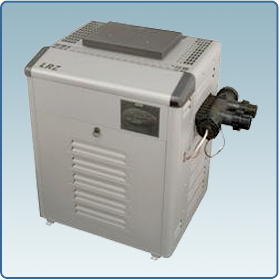 Easy to retrofit existing pool systems and can save up to 90% in electric costs! AquaLink Touch is a high-performance smart control system that delivers best-in class functionality for all your outdoor automation needs. This powerful, intuitive device integrates premium design ingenuity, style, and ease of use for the ultimate automation experience. As an in-wall wired or wireless counter top, full color touch screen device, AquaLink Touch has the power to control jets, lights, pool to spa switching, pump speeds, temperature settings, water purification and much, much more. IntelliChem® Controller support SpaCommand® Spa-Side Remote control of IntelliFlo® pump ScreenLogic User Interfaces. Salt Chlorine Feature - Enables IntelliTouch Automation to control and monitor popular Salt Chlorine Generators including Pentair Aquatic Systems' IntelliChlor® Salt Generator, from the IntelliTouch Automation Indoor Control Panel or MobileTouch®Wireless Remote Control Panel. Advanced Color Lighting – Enables users to experience a world of lighting animation when teamed up IntelliBrite® color lights. One of the most dramatic innovations is the Swimming Colors feature in which colors appear to swim through the water, pouring into one another. 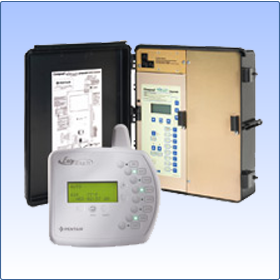 IntelliTouch Automation systems offer the flexibility to handle from 5 to 40 circuits that can be used to control any combination of pumps, lights, water features, etc. As an added benefit, user-configurable circuits (Feature Circuits) can also be used to control these combinations of features and more. Feature Circuits even add Macro possibilities where any number of circuits can be combined on a single button. This gives the pool owner the ability to set up "themes" with custom names all with one press of a single button. 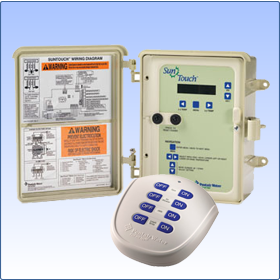 The EasyTouch® Control System family offers a new level of control for homeowner's looking for an affordable, easy to use pool/spa control system. EasyTouch allows full control of all pool/spa features including advanced features such as colored lighting and IntelliChlor® Salt Chlorine Generator support. 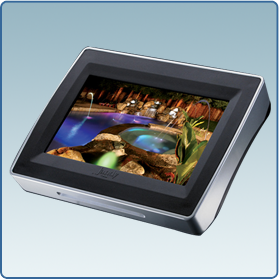 Every EasyTouch system includes as easy to use control panel that is built into the outdoor enclosure. 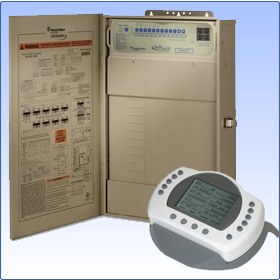 This control panel allows for full system setup, programmability, and everyday operation. 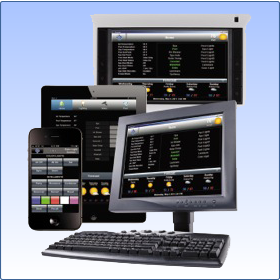 In addition, there are several other available remote interface choices. The Compool to Easytouch ugrade is not a new automation system. Its an add-on for those who already have the Compool Automation System . Allows easy upgrade to EasyTouch® Automation functionality for the following Compool®Systems: CP3400, CP3600, CP3800, CP3810, CP1000*, CP2000*, CP3000, CP30*, CP100*, LX100EZT*, LX100EZTL*, 520348*, 520349*, TimeMaster with LX-10 Power Center*. Supports 2 - VS or 2 - VF IntelliFlo® Pumps, iS4 and iS10 SpaCommand® Spa Side Remotes, IntelliChlor® Salt Chlorine Generator, IntelliBrite® LED Lights, UltraTemp® Heat Pumps. Remotely manage from a Mac or PC using the ScreenLogic2 Interface, Mac Computer or PC app. Easily change, track and monitor history of pH and ORP levels when using the IntelliChem®chemical control system with IntelliTouch or EasyTouch Automation. ScreenLogic2 app now allows full color lighting control for both IntelliBrite LED pool, spa, and landscape lights and MagicStream® laminars. SunTouch Control System is Pentair's entry level Automation. With the touch of a few buttons, you can quickly program your pool and spa filtration and heating cycles to fit your schedule. With SunTouch, your pump and heater automatically run whenever you want, for as long as you want so your pool and spa are always warm and inviting. In addition to controlling your pump and heater, the standard SunTouch Control System package has the ability to schedule operation of additional functions, such as your lights or automatic cleaner. You can also add a third valve actuator to automate a solar heating system or water feature. Welcome to our Monthly Web Specials. 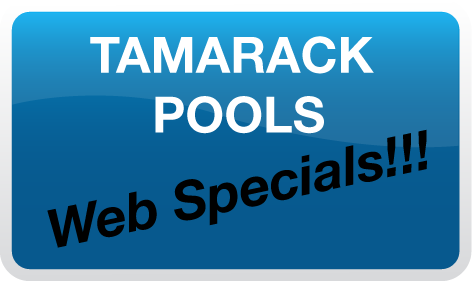 Every month we will feature fantastic deals on pool supplies, equipment and cleaning packages!